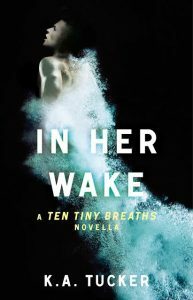 A moving story about a girl submerged in the depths of tragedy, drowning in her own emotional turmoil as she struggles to breathe again… to love again… and to forgive in order to find life again. Lost. Listless. Lifeless. Endlessly drowning amidst nightmares. Unceasingly gripped by the vises of tragedy. Submerged in her own thoughts… in her anger… in her inability to relinquish the memory of death. Kacey Clearly has been internally and externally scarred by a horrific tragedy that occurred four years prior. She can’t get past it. She can’t face it. She’s stuck in an endless replay of what happened, engulfed in fear and barely living. She’s harbors a deluge of feeling, but channels her emotions into angry punches in instead of facing the battles she should be fighting to find her life again. Those are the words her mother used to tell her when trying to quell the rush of emotions she would feel. And now, she repeats them without really understanding them, without benefiting from their hidden wisdom. 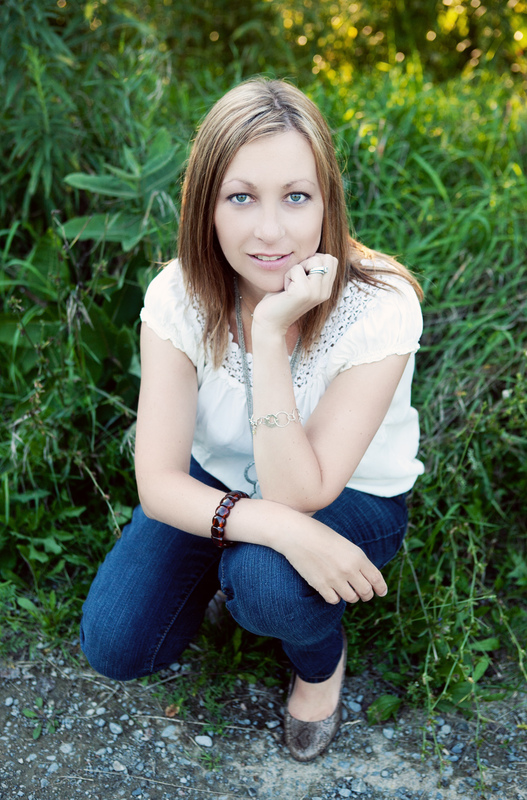 When Kacey lost her parents, best friend and boyfriend in a drunk driving accident, she was shattered to pieces. Vivid memories of holding her boyfriend’s hand and hearing final breaths perpetually permeate her thoughts and haunt her dreams. Her coping mechanisms have morphed over the years… ranging from drugs to men to boxing, but truly, her way of dealing is to bury her feelings and live life in a continual state of numbness and controlled anger. Thankfully, she has her 15-year-old sister Livie, who is good and kind to the core, but when the situation with their born-again Aunt Darla and vile Uncle Raymond becomes unbearable and threatening, they pack their bags, flee and move into a run-down apartment in Miami. 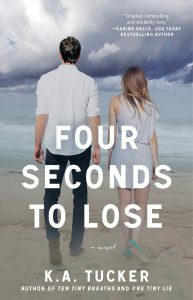 But life has a way of disrupting well-made plans and when Kacey meets her gorgeous, blue-eyed neighbor with drool-inducing 8-pack abs, desire and feeling surge unexpectedly. He’s a mix of kindness, smugness and irresistible charm. In typical Kacey fashion, she fights him off with a two-punch of snark and feigned indifference. 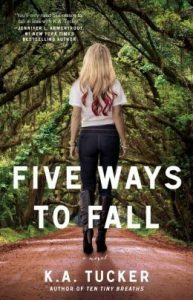 Kacey is a great protagonist, a blend of brokenness and strength, always teetering between the edge of numbness and the brink of emotional explosion. But the truth is, she can’t help but feel drawn to her hunky neighbor, Trent, despite her efforts to stay away. Surprisingly, each time she is near him, life begins to once again thrum through her veins and she begins to see the darkness slowly lift. As Kacey and Livie settle in Miami, they unexpectedly find themselves surrounded by new friends like their neighbor Storm and her daughter Mia, as well a motley crew of characters from Kacey’s new job. Before she knows it, Kacey’s walls slowly continue to come down and that’s terrifying in more ways than one because having people you care about in your life means you have the opportunity to lose them as she had before. But there’s something more to Trent. It’s evident he’s hiding behind his own pain, his own secrets — something that impedes him from becoming intimate with Kacey (much to Kacey’s mounting frustration). It’s so easy to fall in love with Trent, however, not only because of how good he is to Kacey, and how he wants to help her, but he’s determined, almost obsessively so, to make her smile… to make her laugh… to fix her. There are secrets revealed that affect the direction of the story line and some events that simultaneously had my pulse pumping and my heart breaking all at once. I think there are scenes that are very poignant in the book, and although I didn’t cry, I was definitely affected. To be honest, I think K.A. Tucker could’ve pushed us even more emotionally because the foundation was there for that emotional depth the book innately called for. The one other small thing I’ll mention is that there is a build-up to Kacey and Trent being intimate and once it happened, it was a bit glossed over. I kind of wanted to revel in that moment. 🙂 That being said, I truly loved the book. This is the first K.A. Tucker book I read and I think it was expert storytelling. I was gripped and addicted and I desperately wanted to see what would happen. The characters were all well-developed and the writing style is crisp, yet vivid and expressive. 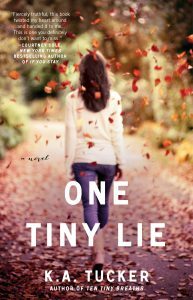 I loved the way it ended and can’t wait to read One Tiny Lie, which is Livie’s story. 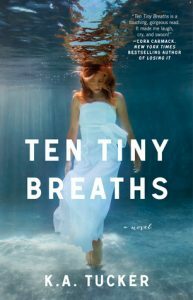 I’ve read Ten Tiny Breaths and loved it. I would love to own a paperback copy! thanks for the giveaway! I am just starting with this series! I have read so many wonderful things about this series. I am dying to read them. They have been put on my TBR! And now I’m moving them on up the list. 🙂 Awesome giveaway! Thanks!! I’ve read the book and loved it. I wanted to know how it all played out. What happens to her, and how does she get through it. I loved the story, and fell in love with the characters. I try to put myself in the same situation, but I don’t think I’m that strong. I probably would have fallen apart. I already read it! I can’t wait for the third book to come out!!!! I’ve read the book. Thanks for the giveaway! I can’t wait to find out how she get through it. Looking forward to meeting these characters and falling in love with their story. I agree with you… I loved the look of it so much too before I even read it! You’ll love the book! Can’t wait to know the characters and experience Tucker’s writing! Thanks for the giveaway would love to read this beautiful story. I’m looking forward to a wonderfully written story that doesn’t have a cliffhanger! Thanks for the post and the chance to win. I’m looking forward to a HEA. I’ve read this, but I would LOVE LOVE LOVE to own a signed copy!!! I’m looking forward to just getting lost in a world that’s different from mine. I haven’t gotten the chance to read this series yet but I really want too. Thank you so much for the chance. What caught my attention was the story. I want to read not only Kacey’s, but Trent’s story also. The book sounds like a very good read. I’ve already read this book and it was so good!! I would love to have the paperback as well! I think finding out what Trent demons are and how Kacey will let them effect how they go on with their lives. I’ve read it already, but want the signed copy to add to my favorite books of all time shelf! I’m looking forward to a Binge Read of course! I like to wait for a few books in a series to be published so I don’t have to wait for the next book!